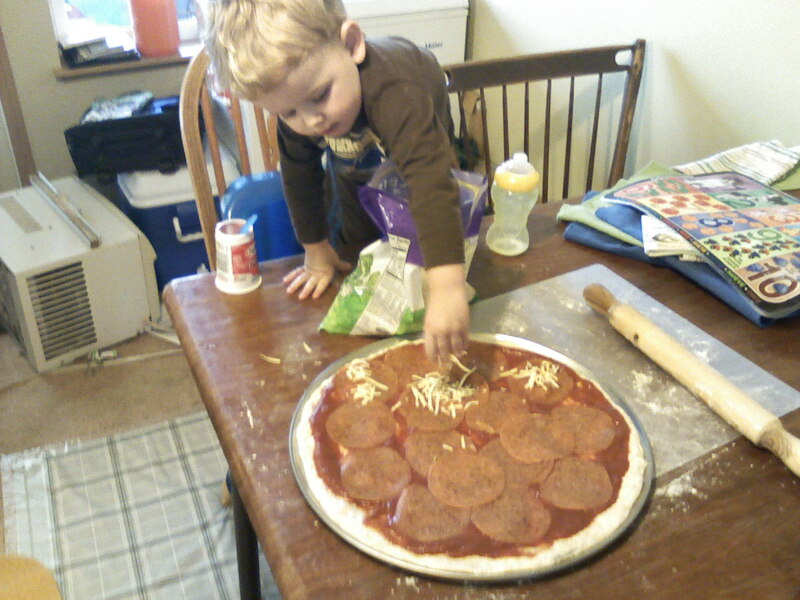 Dew THIS: The Best Pizza Crust!! This recipe came throught the grapevine from two of my good friends from Logan, UT!! 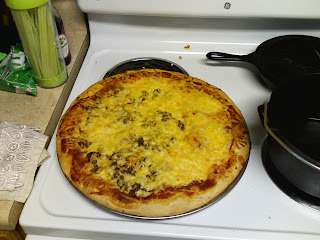 It is absolutly delicious and I can't wait to make it again!!! Preheat oven to 400 degrees. Add yeast to warm water and stir until dissolved. Add sugar, salt and oil. Add flour in small amounts until dough forms a ball and can be handled. Knead on a lightly floured surface for 2-3 minutes. Let dough rest for 5-10 minutes to rise. Spread on oiled pan. Apply toppings of your choice and bake for 20 minutes. Enjoy!! * UPDATE: After making this every week for a while I was like - That is adding up to A LOT of yeast! I played with different amounts and I like just a little over 1 TBLS.